Following on from our recent training and development day activity, last month Instructus undertook a follow-up activity at Kettering’s Thorndale Care Home. 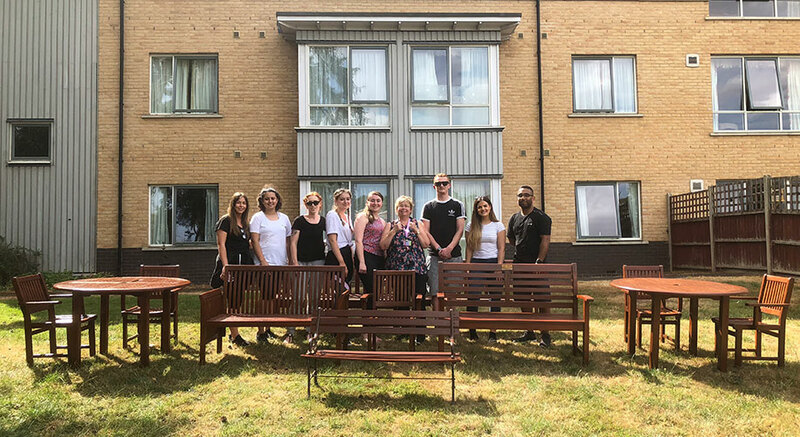 On Tuesday 24th July (and at the height of the heatwave), nine members of the Instructus team ventured to the Shaw Healthcare site in Kettering to sand and re-varnish garden furniture for the residents to use and enjoy over the remaining summer months. The home, which provides 24-hour support, cares for up to 60 older people. Residents include the physically frail and those living with a diagnosis of dementia. 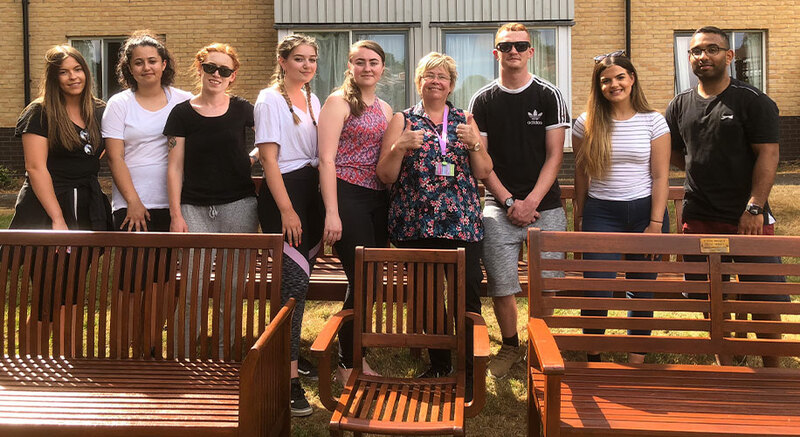 “As requested by the service, the volunteers from Instructus varnished and cleaned up our garden furniture which has had a big impact on the appearance of our home. We are very much delighted in your hard work and we are all very appreciative in the work that was carried out”, said Sharmaine Hall, Deputy Manager at Thorndale Care Home. We are always looking for ways to contribute to our local community. If you have a project or activity that you would like us to volunteer for, please get in touch with us at info@instructus.org.